A damaged frame can have an impact on your vehicle ranging from cosmetic damage to greatly reduced performance. In some cases, it could also decrease the safety of your car. At J&L Frame Alignment and Automotive, we offer frame straightening and repair as one of our many services. Depending on the direct damage to the automobile, you may also need to inquire about our glass or wheel repair services. Forces that can bend and twist a car frame could do an incredible amount of damage to other parts of the vehicle. 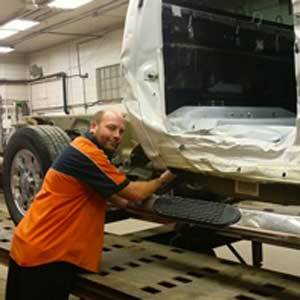 We utilize a variety of tools that assist in restoration of your car or truck. Using Chief EZ Liner Frame equipment, we are able to fix these problems while paying greater attention to detail. Computerized Chief Velocity measuring of the unibody and frame suspension will provide us with perfect accuracy, allowing us to pass that quality assurance onto our customers. Our Chief EZ Liner frame machine and equipment promotes efficiency while the Miller Mig and spot welders allow us to remove damage with pinpoint accuracy to get your vehicle back in shape. Using hydraulics and torque pressure, machines are able to perform the work of straightening the frame that sheer human muscle simply cannot. We use up-to-date technology along with years of experience and knowledge to accomplish this task, and because of that, restoring a vehicle takes less time and improves safety and stability compared to older methodologies of the past. Because “crumple zones” promote human safety over that of the vehicle, they often become damaged and we can straighten these zones after an accident to restore the car or truck to factory specifications.